“Obviously, the state over whose territory it happened bears responsibility for this terrible tragedy,” he said late on Thursday. “This tragedy would not have happened if there was peace on this land, if military action in the southeast of Ukraine had not been resumed,” Putin said, adding that he has asked the appropriate Russian authorities to do everything to investigate the matter. “We must do everything in our power that an objective picture of what happened goes public in our community, in Ukraine and all over the world,” Putin said as he expressed his condolences to the families of victims. Flight MH17 crashed in Ukraine on a flight from Amsterdam to Kuala Lumpur, and was carrying 298 people. 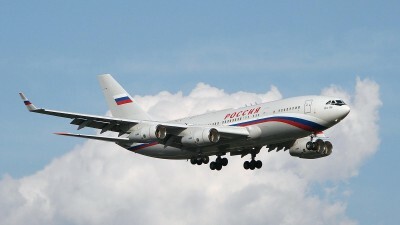 The passenger Boeing-777 was expected to enter Russian airspace at 5:20pm local time, but never did, a Russian aviation industry source said.“The plane crashed 60km away from the border,” Itar-Tass cited its source.